Lot Detail - Important-Booker T. Washington Letter about The family who owned him and his mother as Slaves! Important-Booker T. Washington Letter about The family who owned him and his mother as Slaves! "the family to which I belonged"
Letter on Tuskeegee Normal and Industrial Institute Booker T. Washington principal Rare biographical letter where Washington writes about the past head of the family and plantation owner who was in charge of his mother and him as Slaves. Also discusses what happens to some of the family members during and after the civil war and his mothers married name. 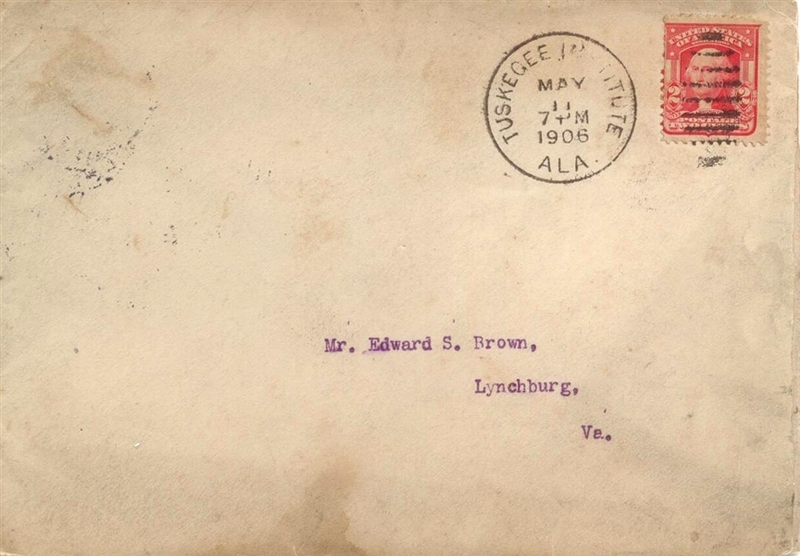 The letter is on Tuskegee Institute stationary and dated in Alabama May 11, 1906. 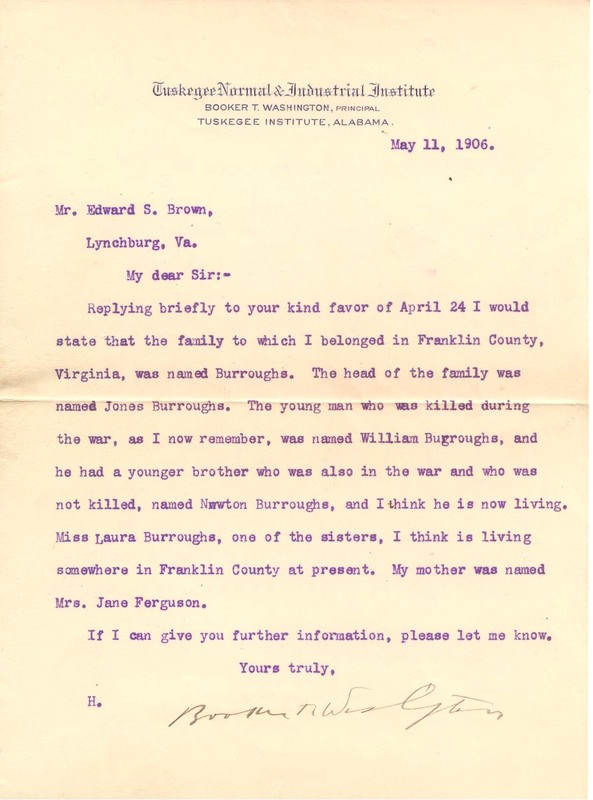 Reads in full: " Mr. Edward S. Brown, Lynchburg, Va. My dear sir:-Replying briefly to your kind favor of April 24 I would state that the family to which I belonged in Franklin County Virginia was named Burroughs. The head of the family was named Jones Burroughs. The young man who was killed during the war as I now remember was named William Burroughs and he had a younger brother who was also in the war and it was not killed named Newton Burroughs and I think he is now living. Mrs. Laura Burroughs one of the sisters I think is living somewhere in Franklin County at present. My mother was named Mrs. Jane Ferguson. If I can give any further information please let me know. Yours truly Booker T. Washington" Fine condition with original transmittal envelope.